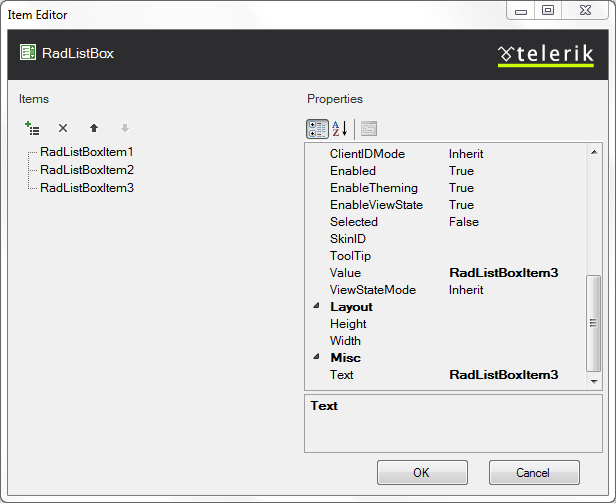 The RadListBox Item Builder lets you add, edit, delete and set properties for items at design-time. From the RadListBox Smart Tag, click on the Build RadListBox link. 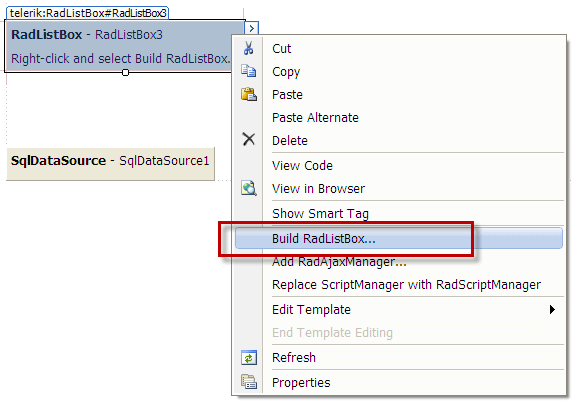 Right-click on the RadListBox control and select Build RadListBox from the context menu. 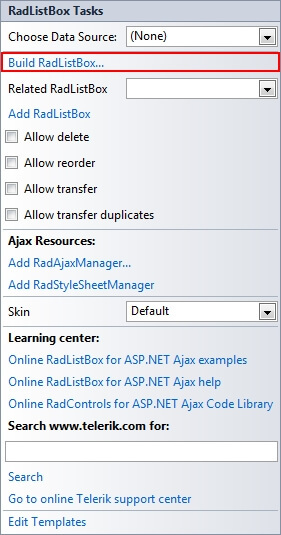 Right-click on the RadListBox control and select Build RadListBox from its pop-up menu. You can also set various item's properties like: Text, Value, Selected, Checked, Checkable, AllowDrag, etc.